The Finance Co PLC will shortly enter the banking arena following the successful restructuring of the debt-ridden company, which began in February. “We have successfully restructured the company and we will be getting into the banking arena with Rs 20 billion in deposits, Rs 25 billion in assets and 60 branches and with the support of the Central Bank of Sri Lanka, The Finance Company Chairman Preethi Jayawardena told Daily News Business yesterday. “The Central Bank of Sri Lanka has always been supportive of our progress of the restructuring and we will be applying for the banking licence soon making use of the sixty branches we have in our network. We will be getting into a diverse array of financial services,” he said. “The entire operation has been restructured from the serious situation that the company which has been saddled with a Rs 200 million loan a month which has been caused by the mismanagement by the earlier management which has been sorted out,” he said. He said the company was pursuing other areas for diversification as well. “We will be striving to be the best financial services house in Sri Lanka, keeping in mind the best practices of corporate governance and looking after the 1050 employees who have helped turn the company and also the shareholders,” he said. 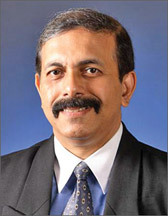 Managing Director and CEO Kamal Yatawara said the company has seen a massive turnaround in the performance where there has been a 70 percent increase in the turnover in the first quarter of 2012 vis-a-vis the fourth quarter of 2011 and the company would be increasing its deposit base with the planned improvements. We will be taking our pawning to the North and Eastern Provinces of Sri Lanka as well,” he said. Yatawara said the financial stability of the company was extremely strong with assets valued at Rs 25 billion and a deposit base of Rs 20 billion. He said the company will be increasing the land sales portfolio as well. He said that the Balance Sheet of the company has been cleared as at March 31, 2011 and the Central Bank is giving positive signals and is encouraging their activities with the turnaround. TFC has also acquired eleven apartments of the Trillium Residencies, which owes TFC around Rs 300 million. The corporate structure is that TFC owns 24.6 percent of Ceylinco Land and Real Estates of which Trillium Residencies is a wholly owned subsidiary. “They will be paying the loan in instalments,” he said. TFC has also given a repayment plan for Sussex College, which has 22 schools which owes it Rs 1.5 billion.